“Sons, daughters, brothers and sisters, Men and women of the Emirates, Salam Alaikum Warahmatullah Wabarakatu. We celebrate today the 40th anniversary of the establishment of the UAE. 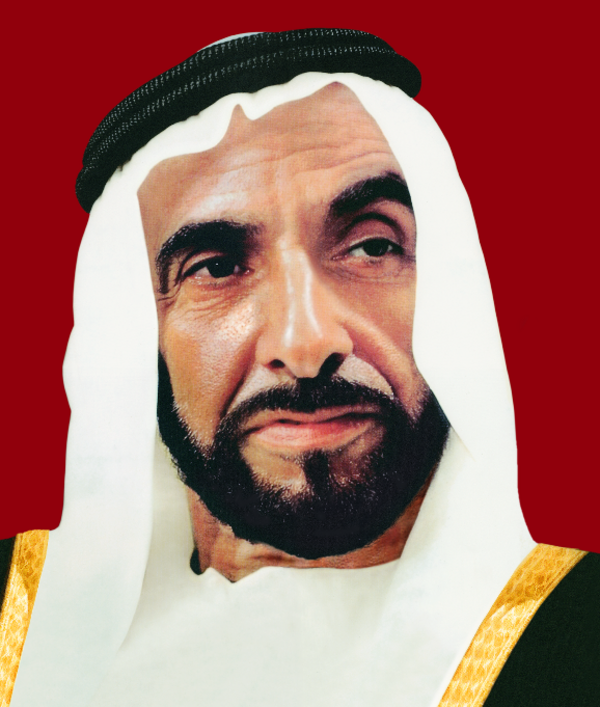 Our country has made remarkable achievements that have catapulted it to the ranks of advanced nations, thanks to the sincere and tireless efforts spearheaded by the late Sheikh Zayed bin Sultan Al Nahyan and his fellow founding fathers who toiled in silence to initiate a march whose aims fit with our genuine national values and principles. We will pursue their approach in shouldering this responsibility with diligent work to achieve further progress and prosperity for the homeland and its citizens. On this great day, we offer our heartfelt congratulations and profound appreciation to my brother, His Highness Sheikh Mohammed bin Rashid Al Maktoum, Vice President and Prime Minister of the UAE and Ruler of Dubai, and to my brothers, Their Highnesses the Supreme Council Members and Rulers of Emirates, for their support and for the care they give to the march of the Union, protecting the country, defending its gains and meeting the aspirations of its children. This Union that is with us today in terms of political achievement and socio-economic reality was neither a gift or a grant nor an easy achievement. Rather, it was the fruit of a good tree planted by our fathers who dreamed of the idea with hope, took care of it with their dedication to raise the flag of the Union as high as they could and strengthened its pillars. They are really the spirit of the Union; from their life and history, generations will draw lessons and will continue to carry the responsibility under the eyes of a glorious nation that takes pride in its past, its giving present and promising future. In the 40 years that have passed, the State has channeled all of its efforts and potential to serve the country and its citizens. More than this, it has invested all of its resources and energies in the building of a federal, pioneering modern state in which the values of solidarity, coherence and unity have been deepened, the concepts of work, dedication and participation have been promoted and in which the sense of belonging and pride in the achievements of the glorious federal march has been upheld. Your State has earned a prominent place in the international community thanks to what has been achieved over the past four decades in all walks of life. We have succeeded in building a robust federal government and active local governments. Our State today is ranked as one of the best countries in the world in terms of the efficiency of its services, its general policies and the credibility of the government with regards to local community. The UAE is, moreover, acknowledged as one of the most secure and stable countries, as a lavish investor in education and in the provision of qualifications for its people. Our judicial system has also received appreciation for its integrity and for the trust placed in it. The UAE has the second largest Arab economy, thanks to the robust and sound economy and prudent policies that are based on openness and diversification of sources of income. 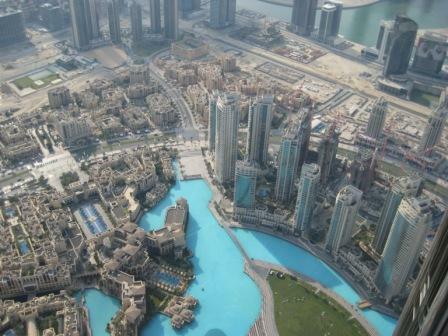 The UAE Gross Domestic Product (GDP) rose from Dh6.5 billion in 1971 to Dh1,248 billion by the end of 2011. 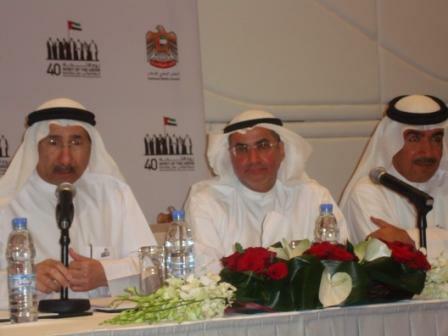 GDP per capita rose in 2011 to Dh174,000 per annum. The value of foreign trade went up from Dh13 billion in 1971 to Dh1,737 billion in 2011 while the share of non-oil sectors in GDP rose from 30% to 71% in the same period. The State has a viable small and medium enterprise sector (SME). The industrial sector has made remarkable achievements especially in terms of the increase in the number of enterprises. Large industrial complexes have been created, drawing in massive investment that has boosted the State’s strategy for developing the productive base of the economy and diversifying sources of income. Yas Island Project is attracting investors from all over the world. 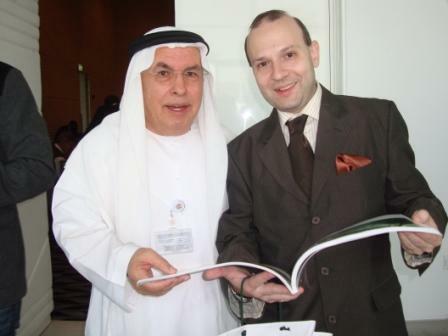 The UAE has become an attractive hub for businessmen from all corners of the world and a magnet for foreign investment. With its high quality investment climate and the diverse and enormous investment opportunities that are available, the UAE leads the Arab World in indicators of the macroeconomic environment, the securities market, the corporate and institutional environment, and international financing. Although we concentrated on development of the oil and gas industries as the backbone of our economy and of the energy industry in our country, the State, at the same time, pursuing economic diversification and in order to meet the growing demand for energy, is setting out to invest heavily in renewable energy and nuclear power so as to reduce the consumption of conventional energy sources and to increase oil and gas exports. This approach is clearly evident through the Masdar Initiative and through the UAE being chosen as the headquarters of the International Renewable Energy Agency (IRENA). Our belief in education and knowledge as pillars of development and progress has been the motive that us led us to devote more care to regular education and higher education. Statistics show that from only 74 public and private schools in 1971, with 32.800 students, the number had risen to 1,186 schools in 2011, with around 800,000 students. There are also 76 federal and local government and private higher education institutions throughout the emirates, working in coordination and cooperation to provide diverse, high quality learning opportunities for our children in all fields of knowledge. The government has paid special attention to the health sector and has worked diligently to provide high quality qualitative curative and preventive services as well as care for mothers and children. The UAE can boast of now having more than 92 government hospitals and 246 centres for primary healthcare and maternity and child care, compared to only 7 hospitals and 12 health centres in 1971. This is in addition to dozens of private hospitals and thousands of specialist clinics. The government is planning to upgrade and modernise the health sector so that it will become one of the best worldwide in terms of quality of practices, services, medical professionals, the percentage of Emiratisation, along with a broader contribution by the private sector. 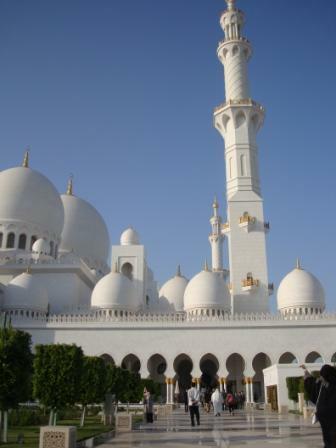 Sheikh Zayed Mosque from Abu Dhabi a symbol of cultural vitality of United Arab Emirates. As for the housing sector, the government has built and distributed thousands of low-cost houses and built modern fully-serviced cities across the country. Since 2007, the Ministry of Public Works has been implementing a national housing plan which aims to meet requirements of citizens over the next 20 years. The Sheikh Zayed Housing Programme and other similar government-sponsored agencies are also undertaking ambitious housing projects. We have also made prepared a national housing strategy which is now being undertaken in full coordination with other local housing initiatives. It is appropriate at this point to express our appreciation for the role being played by the national committee which follows up implementation of the Presidential initiative to upgrade the basic infrastructure in various parts of the country. The budget for these projects, aimed at improving the standards of services crossed AED 7 billion. Financial support will continue to flow so as to deliver the objectives of these initiatives. Our foremost concern from the outset has been to build an infrastructure base that serves our development goals in all domains. For that purpose, the government has built road networks, sea and air ports and has expanded these facilities to serve the country’s ambitions in terms of the economy, trade, finance and tourism. It has also launched a range of initiatives projects in terms of culture and information so as to advance its strategic policy to become a regional hub for media, culture and arts, as well as a bridge for civilisational interaction between civilisations. Capitalising on its state-of-the-art complexes and facilities, the UAE has become an important centre for regional and international sports events. The government has made immense efforts to protect the environment, to improve water and natural resources management, to conserve biodiversity, animal species, and endangered marine and terrestrial flora, to protect and develop fisheries and to establish more nature reserves. What was done in this field under the stewardship of the founding father the late Sheikh Zayed bin Sultan Al Nahyan was a magnificent achievement that has earned our country a prominent regional and international standing in the sphere of the environment. In all development fields in the country, including the increasing contribution of women in the workforce and the provision of full social care to all segments of society with special attention being given to youth, and, in particular, the vulnerable (the handicapped and the elderly), the indicators of the progress achieved have prompted many international organisations to rate our country as one of the most prosperous and as one of those delivering the best welfare services worldwide. “The Union whose 40th anniversary we celebrate today is a social and collective responsibility. 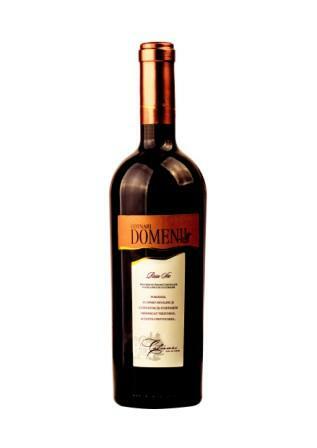 It is a project for renaissance and a continuous action plan. The selection of the ‘Spirit of the Union’ as a theme for this year’s celebration is a true expression of the genuine experiment which veritably embodies the originality, values and special nature of the reality of the UAE. Keeping the Union’s spirit alive is something that can be achieved through the empowerment of the UAE citizen who is the top national priority and the focus of the vision for the future that guides all strategies and policies that the government will adopt, in all sectors, over the next ten years. Empowerment of the citizen is our project for the next ten years of the Union – a project through which we will lay the ground for a more confident and strong national personality and whose driving force and cornerstone will be an active Emirati who is proud of his stable and coherent family and of his well-founded, dynamic community where security and justice prevail, where the values of voluntary work and of initiative are highly recognised, with a forward-thinking, modern learning system, an advanced, high quality health services, a knowledge-based sustainable and diversified economy, an integrated infrastructure, a sustainable environment, well-conserved natural resources and, finally, an eminent status on the international stage. These pillars were the same that guided our founding fathers to lay the foundations of this State. And in meeting the demands and aspirations of the people, they agreed upon a constitutional framework for a federal system of governance that deals with people on an equal footing, that guarantees their freedoms, that unlocks their potential, that mobilises their resources, and that provides them with more opportunities through powerful federal institutions that perform their work in integration with local governments and in full coordination with other segments in society. Our prime concern will be to deliver this vision and make it a living reality in a manner that realizes the aspirations of both the leadership and citizens for a more secure and prosperous future. The Council of Ministers will be responsible for transforming these aspirations into program that have specific targets and transparent standards. The Council of Ministers has already finalised the strategic framework of the UAE Vision 2021. Honourable citizens, We are progressing confidently towards a decade that will be spearheaded by the sons and daughters of the UAE. I have a word for all leaders : heed the voices of the people, take them into consideration while you are planning, setting goals and making decisions. In a world that has diverse organs of mass communications and platforms for social contacts, it is necessary for governments to seek the best and effective tools of communication with the citizen everywhere, to listen to his voice, to learn about his trends and to respond to his aspirations. This requires that we should pay attention and that we should listen. 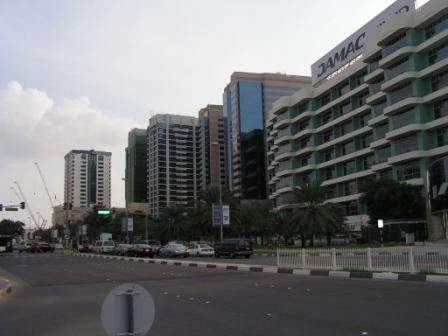 Abu Dhabi today – a modern city. Based on that, we assert that broadening popular participation is a firm national trend and an irrevocable option which we have chosen with our full will. 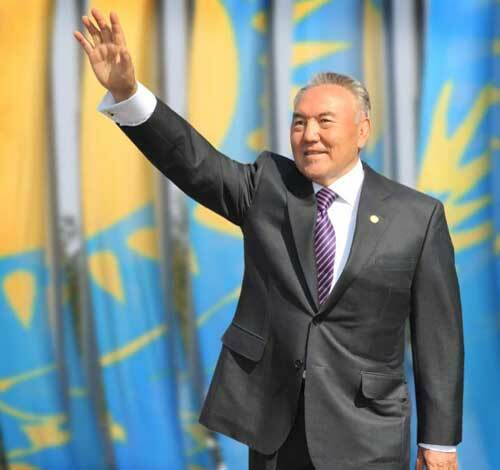 We will continue to take it further forward, gradually and steadily, in response to the aspirations of our people for a homeland for which they can come forward together to serve and develop its society. We have successfully completed the second phase of the gradual approach we adopted as a method to expand the popular participation in elections and to empower the Federal National Council (FNC) and increase its powers and enhance its role. This phase was crowned with the election of a new FNC which has commenced its sessions as a more vocal organ of the national will. We hope that the Council will perform its role in complete cooperation with the executive authority as a responsible platform for national issues and with a positive impact in decision-making. Dear sons of UAE There is no distinction between one citizen and another in our State…… all are equal in rights and duties and the main purpose of government activity is to improve the quality of life, to ensure sustainability of reasonable living standards for citizens and to ensure that all enjoy equal opportunities and fair privileges in a sound societal and family ambience where all feel justice and stability. This is what we are pursuing through many development initiatives in sectors like housing and services across the emirates. 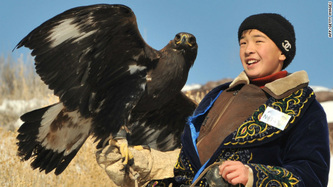 Within the context of these initiatives, education will receive a top priority, getting a major allocation in the federal budget for 2012 which will enable it to secure the required potential to develop its structure, to upgrade its output and to link it with the needs of development and the job market. On top of this, the conditions of employees in education will be improved, and new advanced curricula will be introduced that deepen the sense of belonging and identity, promote the values of moderation and incorporate the latest developments in systems, science, technology and languages. Out of our keenness to raise a generation that is capable of carrying responsibility and of pursuing the drive for development, the government has launched a set of integrated policies to build the capacity of our youth and to create an environment that will equip them to take part in economic, social, cultural, political and sports spheres and will stimulate them to actively engage in voluntary work and community development. Towards this end, we have created a ministry to take care of their affairs and have established the General Authority for Youth and Sports Welfare. Child care has seen spectacular progress with the creation of the Higher Council for Maternity and Childhood. 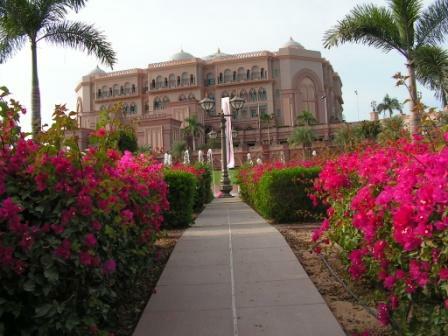 Emirates Palace- a landmark of capital of UAE-Abu Dhabi. Similarly, we have made the empowerment of woman a pressing national priority. Thanks to sound planning, our State has an honorable record in terms of the rights of women; our women enjoy full rights, able to take part in all activities without discrimination. All the doors are open for the UAE woman to make more progress. “Our country is forging ahead steadily in making progress and our national economy has weathered the storm of the global economic crisis thanks to its vibrancy, resilience, diversity and its sound legislative environment. Our economy today remains on track and flourishing, buoyed by the stellar performance of some economic sectors, the improvement in liquidity, and the increase in surpluses. However, while expansion and diversification of the economic base and rise in growth rates are all important leading indicators, they are not an end in themselves. Rather, they are means towards the higher end, which is the happiness of man, the coherence of family, the solidarity of society, and the sovereignty of the state. This is the development model approved by the UAE Vision 2021, as a sustainable model of human society, whose target is to empower the society and to build the capacities, skills and knowledge of its members. It is our roadmap for the future and the main way to address the challenges faced both by the State and by society. On the top of these are national identity, the imbalance in the job market, low productivity and the weak rates of replacement and Emiratisation. We have already taken serious measures in that direction by establishing the Federal Council for the Demographic Structure, the National Qualifications Authority and the Khalifa Emiratisation Fund as well as other agencies. We hope the initiatives of these bodies will serve as a realistic prelude for tackling these challenges we are facing, like Emiratisation, the reduction of foreign workforce, increasing of the opportunities for training and the qualification of the national workforce in a manner that hones their skills and puts more demands on them. 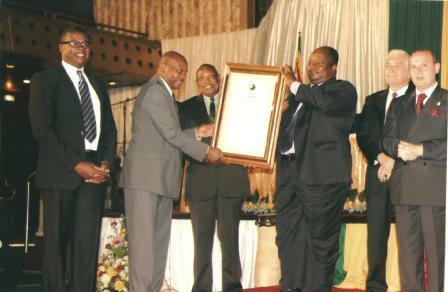 While recognising the role and contribution from the business sector over the past forty years, it must be noted that this sector should display more commitment today in terms of corporate social responsibility, so as to expand its participation in nation building, in protecting the local community, in increasing productivity and in the provision of investment in development and training and in attracting national human resources by creating more job opportunities for them. Our State is adopting a national security and defence strategy based on enhancing and supporting arrangements for maintaining public security and the rule of law along with developing skills and raising the efficiency of human element, in addition to our commitment to combating terrorism and all forms of alien organised crime and to dealing in a serious way with whatever harms internal security and stability. With God’s grace, the UAE is today acquiring the ability to defend our national gains and to protect our vital interests. We have given our armed forces special attention as a protective shield for the sovereignty, independence and security of the homeland. These forces have efficiently kept international security and peace and have proven their high efficiency in delivering aid to brotherly and friendly countries. Our armed forces will remain a source of our pride and a depository of our trust. The current transformation in the Arab World has proven the soundness of the principles and pillars upon which our State has been based since its birth, which call for respect for the human being and his dignity, guaranteeing his rights as the backbone of stability of our communities and the essence of the security of the State. We have built our foreign policy principles and practices on moderation, the maintenance of security and stability, the adoption of peaceful means to settle internal and external disputes, on recourse to international legitimacy, on respect for the rule of law and the aspirations of peoples, establishing relations of cooperation with all countries of the world which treat the UAE with all respect and appreciation and are keen to extend bridges of friendship with all its dimensions and forms. The commitment to these values have been clearly evident through the approach we have followed in supporting the GCC joint action. We are keen to continue working with our brothers in the GCC to complete political, economic, security and social integration. And, as part of our membership of the GCC, we are closely monitoring the situation in our sister Bahrain, asserting our full support for the efforts being made by its leadership to promote national dialogue in a way that preserves its security and unity. As we follow developments in a number of sisterly Arab countries, we affirm our respect for the choices of their peoples and express our support for the ongoing efforts to overcome this situation in a manner that preserves unity and cohesion and meets the aspirations of their peoples. We will also continue our full support to our Palestinian brothers and to their efforts to restore their legitimate rights and to declare their independent state. We are also committed to offer everything that will help to ensure that stability, security and development prevail in friendly Islamic countries. As part of our international responsibility, our State is working seriously to enhance and coordinate humanitarian assistance and relief programmes and to provide aid development to developing countries, along with its contribution to international efforts for peace-keeping, reconstruction, disaster and crisis management, as well as responding to appeals for humanitarian relief. This is confirmed by the UAE’s distinguished partnership in maintaining international peace and security, its effective contribution in various UN activities and its agencies and its pledging of assistance to the tune of billions of dollars. We remain committed to our principled policy to prohibit the proliferation of weapons of mass destruction and to engage with the international community to spare the world from the dangers of nuclear proliferation. Brothers and sisters, The security and stability of the State is a trust and keeping it is a responsibility which doesn’t tolerate leniency or hesitance. Our gallant Armed Forces and our Police and security forces have been and will remain the strong protective shield and line of defence to earn the trust of and maintain the security and stability of the country and its citizens. We salute those commanders, officers and personnel on this glorious day for their dedication and faithfulness in performing their duty and for what they do to upgrade our national defence and security capabilities. We also pay tribute to the children of the loyal UAE people for showing solidarity, allegiance, a unity in their ranks and a deep consciousness. We also greet residents from sisterly and friendly countries who are living among us. Together, we have gone through major steps and have witnessed years replete with achievements and success. And we, with the aid of God, will stay the course of the triumphal march, steadfast and in full confidence, so as to reach that for which we aspire – a promising future of prosperity and well-being. We pray to the Almighty that He may keep our country strong and secure and that He may grant us the determination and strength to protect it as an oasis of security, stability and prosperity. 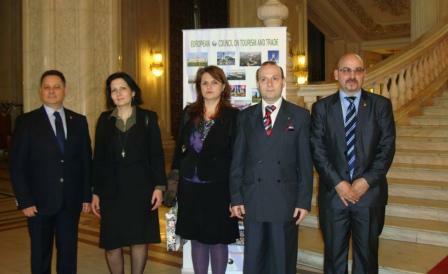 Between 22-23 November 2011 was taking place the visit of Minister of Foreign Affairs of Algeria H.E. Mourad Medelci. 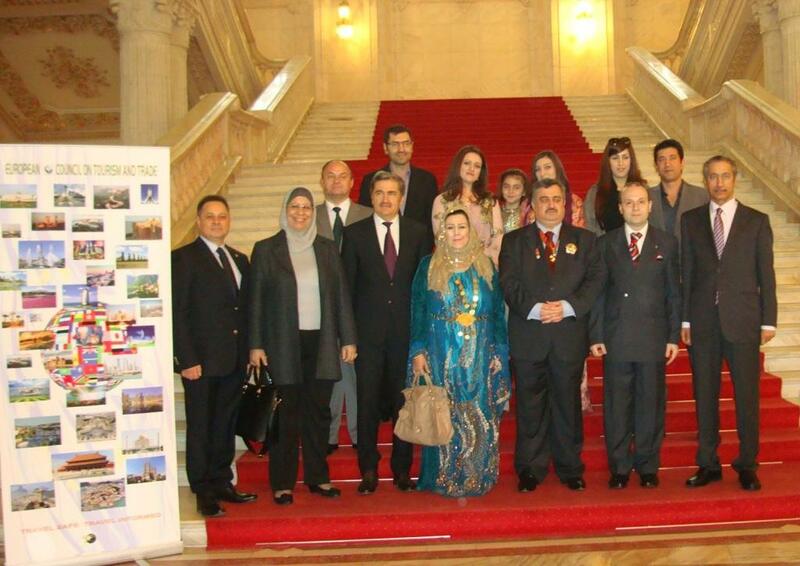 The visit, perfect realized by the efforts of Algerian Embassy staff in Romania headed by the dedicated ambassador Habib Chawki Hamraoui was an outstanding succes in perfecting European-romanian-algerian dialogue and in reshaping the traditional friendship between Europe and Algeria. 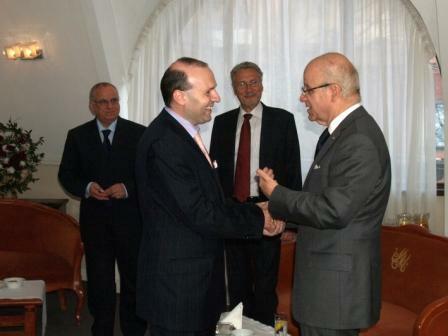 The dens program of the visit included a productive dialogue with Romanian prime-minister Emil Boc , a meeting with romanian minister of Foreign Affairs –Theodor Bachonski ,a dialogue with professor dr. Anton Caragea and the board of director`s of European Council on International Relations ,attending the inauguration of the new premises of Algerian Embassy in Romania , the opening of Romania-Algeria Economic and Business Forum, attending a working launch with Mr. Emil Constantinescu , President of Romania ( 1996-2000) and prof.dr. 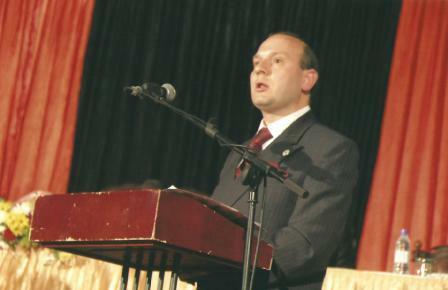 Anton Caragea, President of European Council on International Relations. 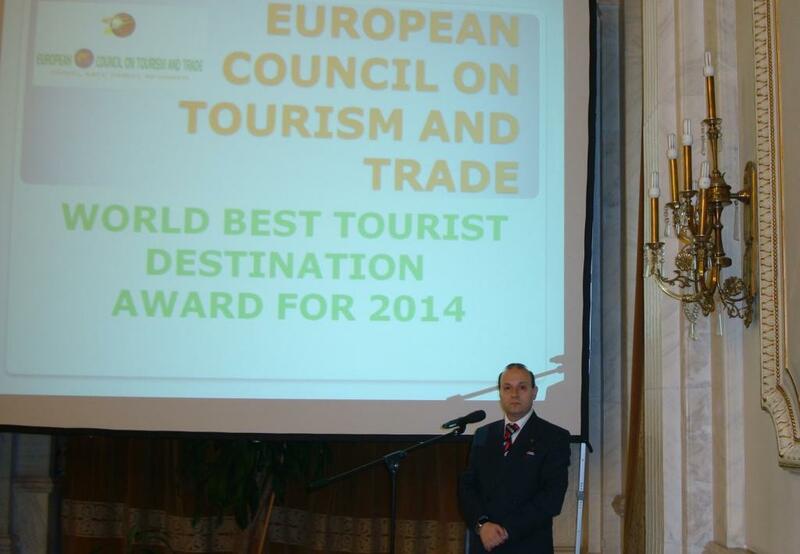 At the Economic and Business Forum Romania-Algeria the European Council on International Relations had sent a 25 members strong economic delegation headed by Professor Dr. Anton Caragea and representing investors and important economic firms from Europewith a combined economic powered over 400 millions euro`s. 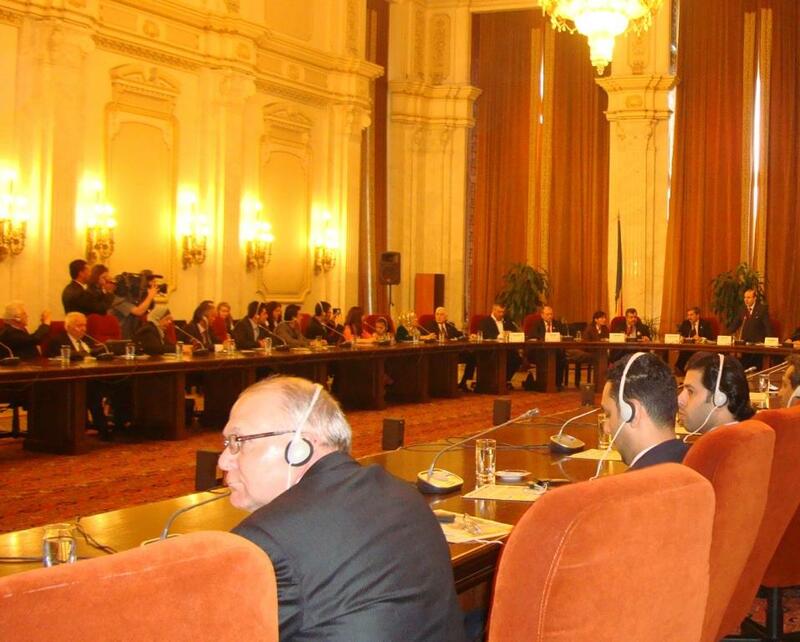 The Romania-Algeria Economic and Business Forum was unanimously considered as an impressive success because is the first major economic forum between Romania and North Africa region held in the last 10 years and also the first successful romanian-arab economic forum held in the last decade. Was also generally praised the invitation launched at the Economic and Business Forum by H.E. Mourad Medelci – Minister of Foreign Affairs of Algeria: “We wish to resume our bilateral relations, in a constructive spirit, and ground them on development and cooperation in areas such as trade, investment, civilian and military cooperation, cultural cooperation. (…) The financial situations of our country allow us to fund, from our country’s budget, a five-year program (2010-2014) worth 280 billion dollars. This context is favorable and I would like to stress that in the framework of this programme, European Council on International Relations firms have already proved their competence in fields like constructions, hydraulic infrastructure and education. Therefore there is real potential for development and cooperation between the two states,” said the head of the Algerian diplomacy. 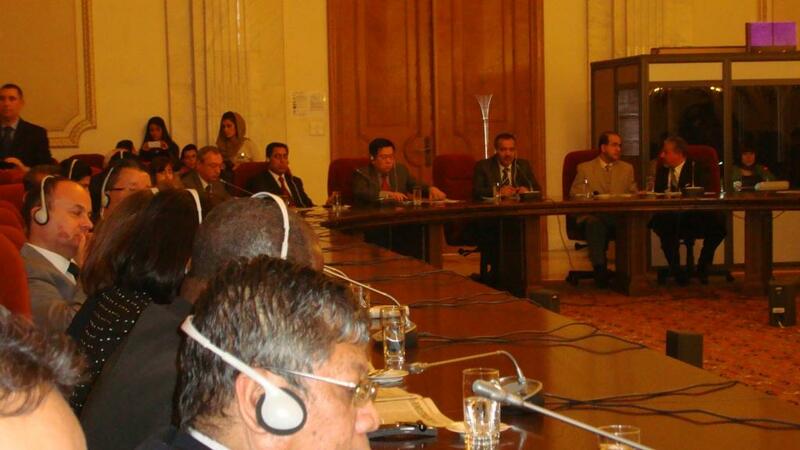 After the Economic and Business Forum a dialogue was held between Minister of Foreign Affairs of Algeria- H.E. 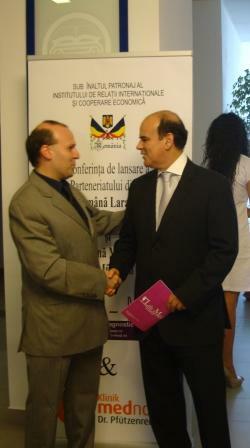 Mourad Medelci and Professor Dr. Anton Caragea, President of European Council on International Relations. On the time of the discussion an honest asesssment of the situation from Middle East and North Africa region was made and also a discussion about the ripple effects in the region had taken place. H.E. Minister Mourad Medelci had declared that the analyses of prof.dr.Anton Caragea over the events in the region are read, analyzed and highly appreciated in Alger and are given all the importance. 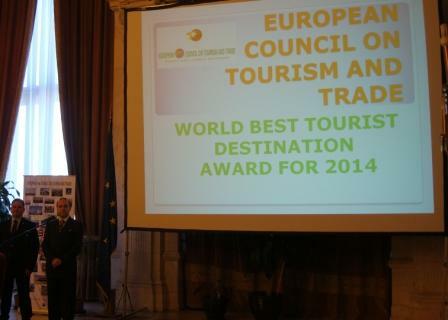 Fallowing the discussion, a launch honoring Europea-Algeria friendship in the company of H.E. 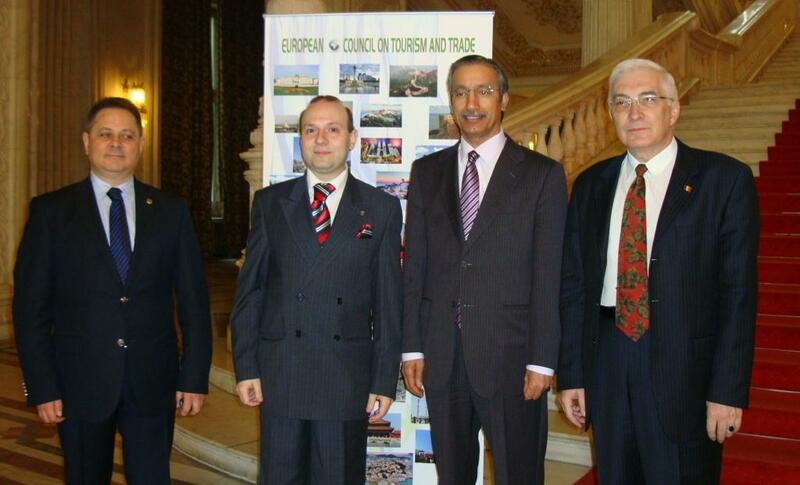 President of Romania Emil Constantinescu (1996-2000) and the architect of this successful visit, Algerian Ambassador Habib Chawki Hamraoui was held. Over 100 guests from cultural, academic and economy fields where present at the launch together with Minister of Foreign Affairs of Algeria- H.E. 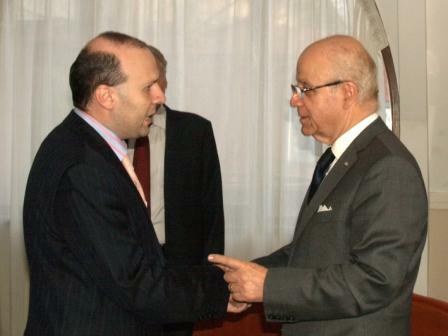 Mourad Medelci and Professor dr. Anton Caragea, President of European Council on International Relations. The two day visit culminated in the Official Ceremony of bestowing DOCTOR HONORIS CAUSA to Minister of Foreign Affairs of Algeria- H.E. 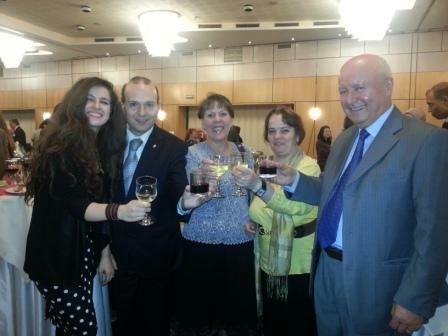 Mourad Medelci by Professor Dr. Anton Caragea, President of European Council on International Relations and the professors and Rectores of Spiru Haret University of Romania. 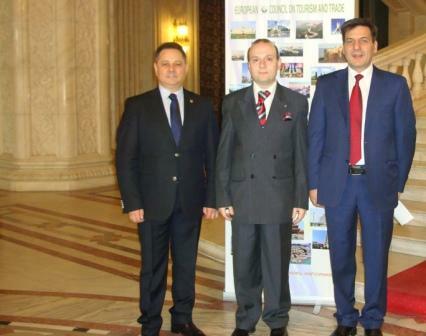 The extraordinary achievements in trilateral relation Europe-Romania-Algeria obtained by the visit of Minister of Foreign Affairs of Algeria- H.E. Mourad Medelci are a testimony of the efficacy of hard work realized by tireless Ambassador of Algeria : Habib Chawki Hamraoui had declared for press at the end of the working launch professor dr. Anton Caragea, President of European Council on International Relations. United Arab Emirates are celebrating the 40-th anniversary of independence and is having a lot of things to be proud of. In only 40 years United Arab Emirates had registered an impressive economic growth, a huge development in infrastructure and is now among the most developed country in the world. But the impressive development is not only contained to economic development or standard of living but also is based on a concerted effort in building a civil society and a strong democracy. 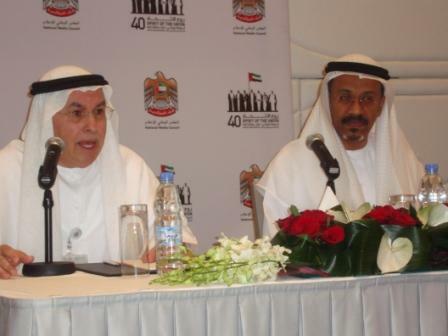 Among news successes of UAE we must count: involvement of women’s in all political and governmental sectors, the equality of payment and treatment between men’s and woman’s and an inclusive political project that offers a strong voice to Federal National Council- the UAE Parliament in all country affairs. When 40 years ago Sheikh Zayed bin Sultan Al Nahyan announced this visionary experiment uniting 7 emirates along a geopolitical destiny who would believe in such a glorious destiny. What was the secret of this astonishing experience? One of the secrets of United Arab Emirates astonishing development is a shared vision that unifies along time the leaders and the peoples. Never in these 40 years was this contact and shared vision between leaders and peoples severed. This bond, this mutual trust and cooperation that allows leaders of UAE to build in full confidence of the people approval is one of the secrets of this solid construction of United Arab Emirates. The vision of Sheikh Zayed bin Sultan Al Nahyan was an enduring one and based on this popular consensus and a geopolitical destiny. United Arab Emirates succeeded thanks to this vision to exploit in the benefit of the people the large reserves of gas and oil building a modern country and not spend it on military adventure as other states has done. Also the Sheikh Zayed bin Sultan Al Nahyan vision enabled UAE to build a modern education and health system , one of the best in the region from a country with virtually no hospital and school only 40 years ago. The importance of education in UAE construction must not be overlooked, if today we have a successful experience of democracy building and open society this is based on sustained educational investment that offered to UAE citizens a vision of the world. 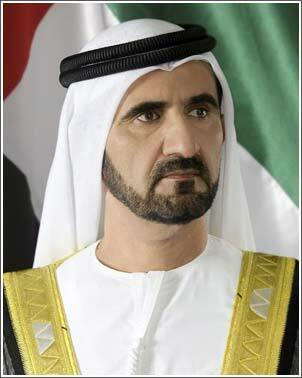 Finally the vision of late Sheikh Zayed bin Sultan Al Nahyan is brilliantly continued by the President of UAE H.H. 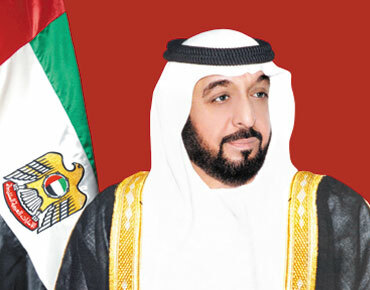 Sheikh Khalifa bin Zayed Al Nahyan efforts in constructing Abu Dhabi and UAE as a success story. The new vision includes the solar energy exploitation, the green energy revolution, constructing the first ever green city: Masdar and building UAE as a society of XXI century. In Dubai H.H. Mohammed bin Rashid Al Maktoum, Vice-President of UAE also constructed a visionary project of attracting tourism and financial markets in an economic construction based on efficiency and rapid development. If one of the secrets of UAE success story is a continuous visionary and people connected leadership , we must also look at the history of this development and the geopolitical destiny of United Arab Emirates. In 1968 Great Britain announced his intention to evacuate the former Trucial states , as the Golf states area where known at that time. This decision spell problems for the region, in north the Iran of the Shah Mohammed Reza Pahlavi was looking forward for this moment to assert his authority on all the banks of the Golf , tacking under control the Golf and the vital energy supply line of this space. No other formula was acceptable; any of the adjacent country that will have take under control the area will also enjoy a monopoly over the trade and energy route of the region. 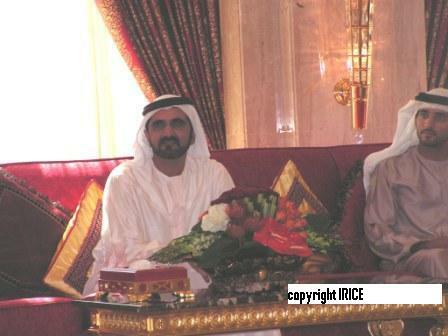 From the emirate of Abu Dhabi, Sheikh Zayed bin Sultan Al Nahyan understood this geopolitical game and acted bravely. In 1971 uniting 7 emirates he proclaimed the United Arab Emirates (the initial plan included also Bahrain and Qatar but the negotiation has failed and only 7 emirates join Sheikh Zayed plan) an alliance destined to keep free the trade and energy supply area of the Golf . How difficult will be this task was clear from the first moment when the Shah of Iran send his army and occupied 3 island of the coast of the UAE. Despite this tense moment UAE survived and oil exploitation boosted the area. An economic model under pressure? Today controversial financial news are arriving from all over the world regarding financial crisis and difficulties but United Arab Emirates seems to have found the way out of the crisis into a new time of development and successes and this because we must never forget the strong fundaments of the UAE economy. First off all UAE are enjoying a reserve of oil and gas lasting for at list 100 years from now, offering a steady income of more than 50 billion euro annually .This numbers could be misleading, the common perception is that UAE is depending on oil and gas but this perception is false, more than 64% of the GDP is offered by non-oil sectors. Long before the crisis hit the UAE decided to develop the non oil sectors like trade, finance, real estate, manufacturing and this sector survived to economic crisis offering to UAE the status of a country non-depending on natural reserves exports. Today UAE are enjoying in a crisis year a steady growth, investments are continuing to come and a massive financial reserve makes a stable currency and a low inflation economy. This economic model is not under question, UAE are still on growth and on geopolitical climate of the region investing here is still a wise move. This economic model could not be understood if we not see the UAE participation in a new energy revolution. Rich in oil and gas UAE is not forgetting that this wealth will eventually ceased to exist or will become to expensive to exploit or to ecological detrimental, so they choose to invest in solar energy. With 365 day a year with clear sky the UAE could not only suffices his one energy demands but also be a world suppliers of green energy and technology. Investing in projects like Masdar City, a city that will supply 100% percent of the necessary energy from green sources UAE is proving that there is life after fossil energy. Investing in this energy of the future not only will assure UAE energy demand but also will be an important part of the economic growth , already in Germany an important solar plant property of UAE is launching a bid to make green energy for European Union. Gulf Cooperation Council – a body with a geopolitical mission. In 1971 Sheikh Zayed bin Sultan Al Nahyan already wanted an inclusive state, but this option could not be put into life at that time . Today this vision is alive by the creation of Golf Cooperation Council ( GCC) uniting the Arab Emirates, Bahrain, Kuwait and Saudi Arabia , Qatar and Oman. 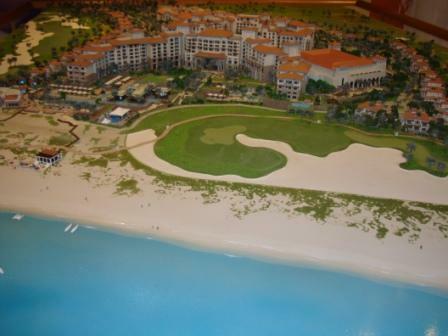 Today GCC is assuring the survival of the mission of keeping open for trade and energy supplies the waters of the Golf . 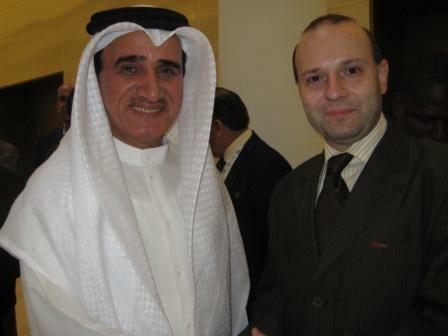 The efficacy of GCC was proven in the Iraq-Iran war in the eighties and in Iraq –West tension after the 1991 Gulf War. 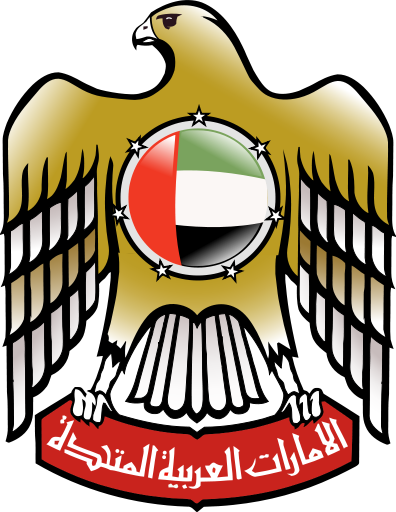 United Arab Emirates not only constructed a powerful and modern navy able to keep open the waters and make safe the supplies but also became the symbol of a strong allied of the western democracy , capable to support democracy building mission, peace keeping activities and investing in reconstruction projects in war torn countries. Sheikh Khalifa bin Sultan Al Nahyan (the son of deceased Sheikh Zayed and the continuator of his vision) declared that the geopolitical mission of UAE is to promote a unity of the Golf area and his example is an example of hope: unity is a conviction and a belief. Now after 40 year from the UAE independence proclamation, in what it was at that time a small city: Abu Dhabi, the world is having a positive model. A powerful economy, a unity of 7 emirates without tensions or conflicts, a political balanced system of federal states and of unify governments, a balance of democracy, efficiency, respect for Islam and open society in a delicate area. We have an example of a Golf state that is building a future society and we have the proof that oil is not necessary a curse (as many can believe) if we can build on it and we not make it the only reason for life. Oil is just a mean to an end. United Arab Emirates are just teaching us this lesson.